County Councillor for the Lydeard Division. Having served as the county councillor for Lydeard for five years, I have worked hard to defend the interests of the people of the communities that I represent. 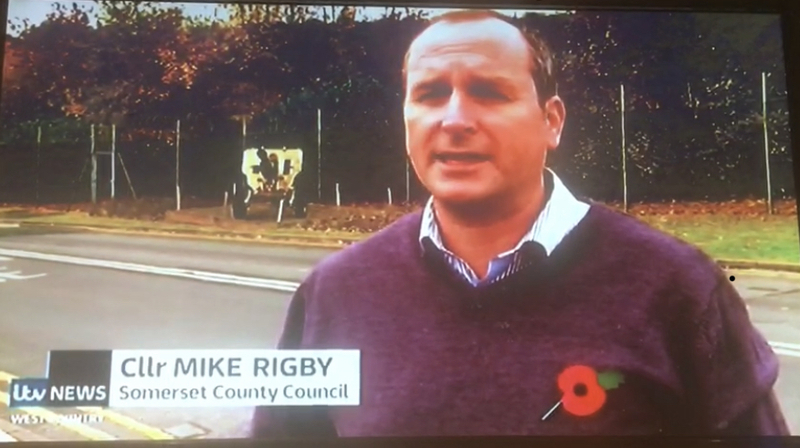 Key successes include forcing our councils to get the roundabout built at the lethal Bishops Lydeard junction, persuading the County Council to reverse some of the waste recycling site closures, which had caused a huge spike in flytipping and supporting Parish Councils in reducing speed limits. I was also pleased to play a part in protecting the West Somerset Railway from the County Council’s potentially very damaging and ultimately abandoned, sell-off. Having racked up these achievements, I was appointed the Opposition Spokesman for Highways & Transportation. Together, we have achieved much but there is more still to do. The threats arising out of the continued Tory cuts to the council budget will continue and we will need to be vigilant in order to fight off their worst effects round here. Please use this website to keep track of what I’m working on and to influence my priorities by letting me know your views on local issues. Keep up-to-date by following the above links to my Facebook page and Twitter feed. As I tried to drift off to sleep after midnight yesterday, my wandering mind was snapped to by my buzzing phone. Unable to resist the urge, I pulled open one eyelid to see the news that Norton Manor camp was not, after all, to close. We all remember the dismay when, in November 2016, news came through that 40Cdo were to move, in 2028, from Norton Manor Camp, which was them to be sold off, like so much employment land in Taunton, for housing. The people of Taunton have taken the Royal Marines of 40Cdo to their hearts but as well as the emotional wrench of losing them to Plymouth came the economic damage of losing such a large, local employer. I went down to Norton Manor that night to give an interview to ITV News, calling for the decision to be reversed. As I was doing this, regrettably our MP, Rebecca Pow was describing the closure as “a sensible plan”. Always the government ultra-loyalist, her support for this damaging plan should not have come as a surprise but I had clung on to the forlorn hope that she might stick up for us. Having called for the closure plan to be scrapped, I was naturally pleased to see Liberal Democrat prospective MP, Gideon Amos, lead a campaign to keep 40Cdo at Norton Manor. That the Royal Marines will now remain at Norton Manor is in no small part due to the force of his campaign. It would be churlish not to acknowledge that Rebecca Pow belatedly swung behind his campaign, rejecting her earlier acquiescence in her Government’s closure plan. She came round in the end and for that we should thank her. To all at 40Cdo, it’s fabulous that you’ll remain a big part of our community.